Are you unsure of which Coroline roofing sheets are the best choice for you? Are you uncertain of which fixings and flashings you'll need with your Coroline sheets? Speak to our team online via the live chat in the lower right hand corner or call 01295 565 565. They'll help you pick the perfect sheets for your project and will ensure you have all the roofing materials you'll need. Coroline roofing sheets are often the first choice for those looking to roof their shed, garage, carport or shelter. 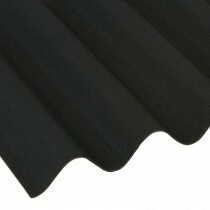 This is due to them offering great durability through the combination of bitumen fibres and a corrugated design. 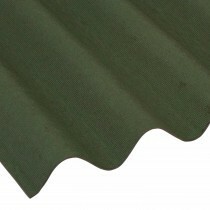 These roofing sheets are also incredibly low cost, starting at £10.55 per sheet. Coroline roofing sheets are available in a variety of popular colours. These include black, green, red and brown. 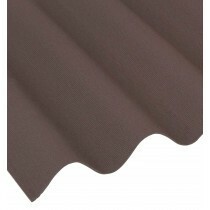 This selection of colours allows you to get the exact finish you desire on your roofing project. They also blend beautifully into almost any environment. Roofing Megastore stock the full range of compatible ridges, verges and fixings. This allows you to achieve a faultless appearance when fitting your Coroline roofing sheets. They also make installation incredibly DIY-friendly. Have Questions About Our Coroline Roofing Sheets? If you have questions about our range of Coroline roofing sheets, speak to our team by telephone or via the online chat. With over 40 years of experience in roofing, we'll help answer your questions about these bitumen roofing sheets. We will also help you pick the necessary fixings and flashings for your project.